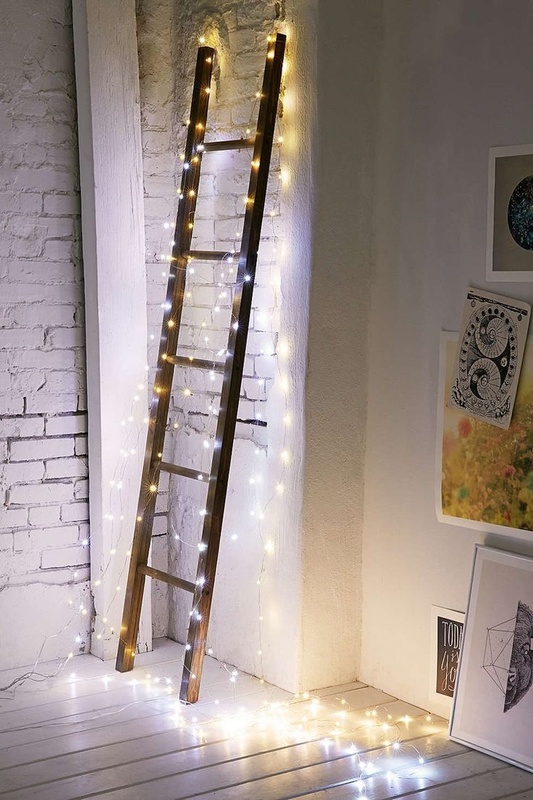 String lights are becoming increasingly more popular in home decor. The trouble is, not all string light decorating ideas are created equal, and you don’t want to run the risk of making your home look like the North Pole two days before Christmas. 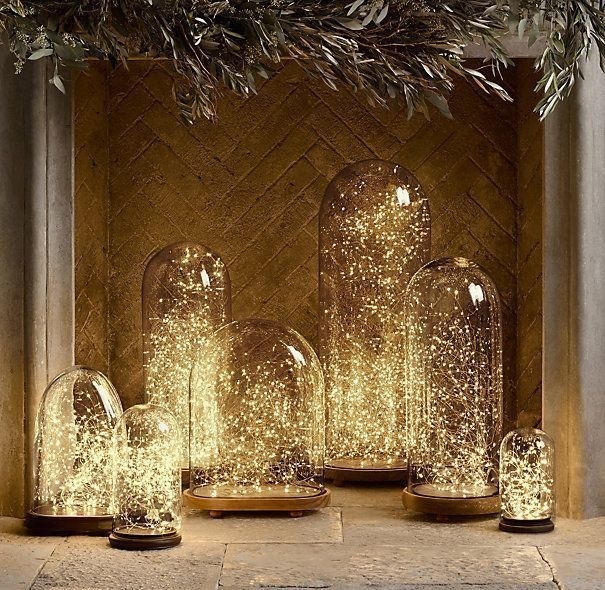 Luckily, there are plenty of ways to utilize string lights that will make your home look chic, warm, and thoughtfully designed. Better yet, you can bring most of these projects to life on a pretty modest budget. Check out the clever ideas below – you’re going to want to add #15 to your living room immediately. 01. Make a flameless fire pit. 02. 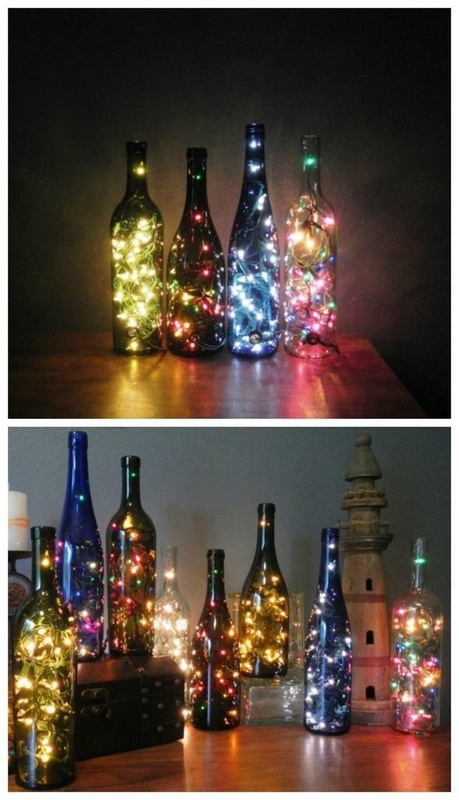 Fill bottles with string lights. 03. 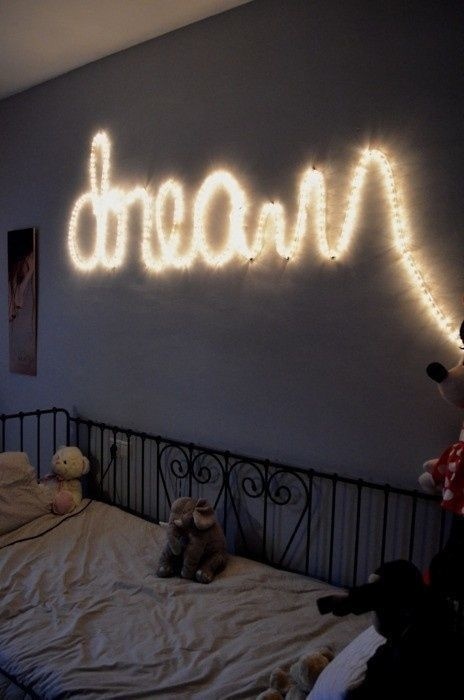 Spell out letters in lights. 04. 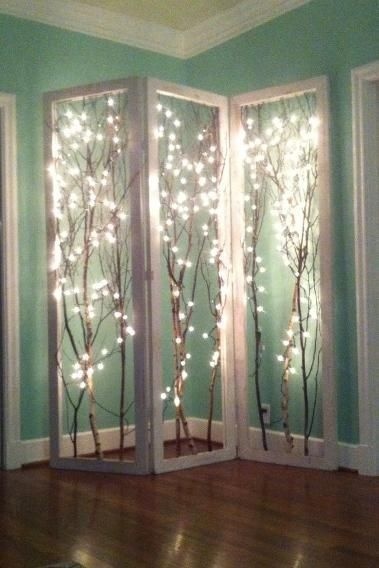 Get creative with a room divider. 05. Use amber lights and copper wire. 06. Get creative with your event decor. Perfect for a wedding, shower, or even an awesome birthday party, this DIY shows you how to string lights onto large hoops to add depth and dimension to the aesthetic of your space. 07. 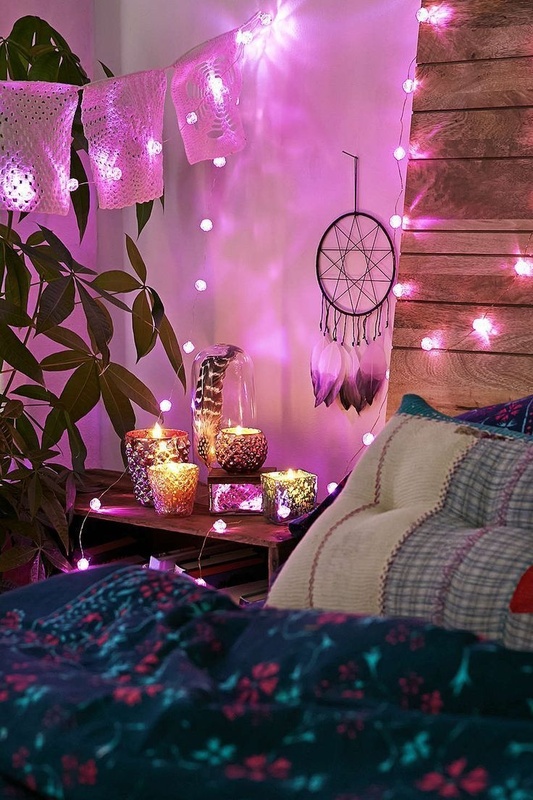 Spice up your room with lit branches. This clever idea is a great way to pack a lot of decorative punch into a small space. 08. Light your outdoor party. 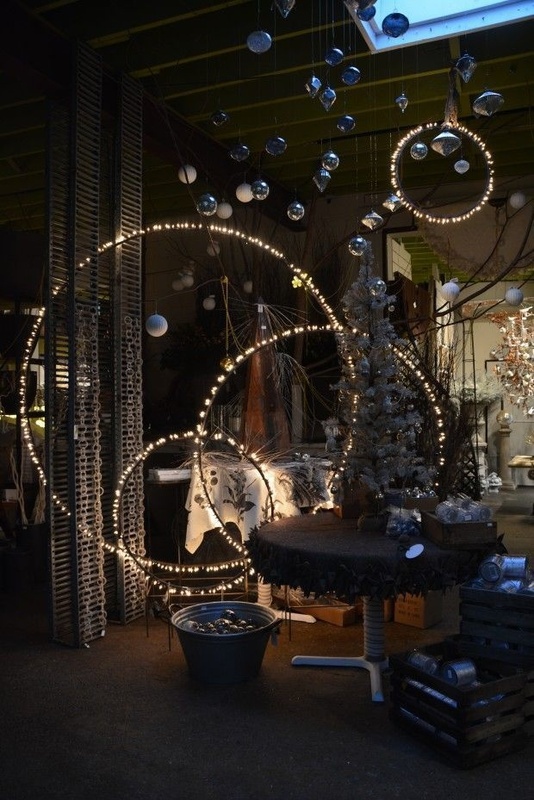 Using string lights for a willow tree effect is always a hiti. 09. 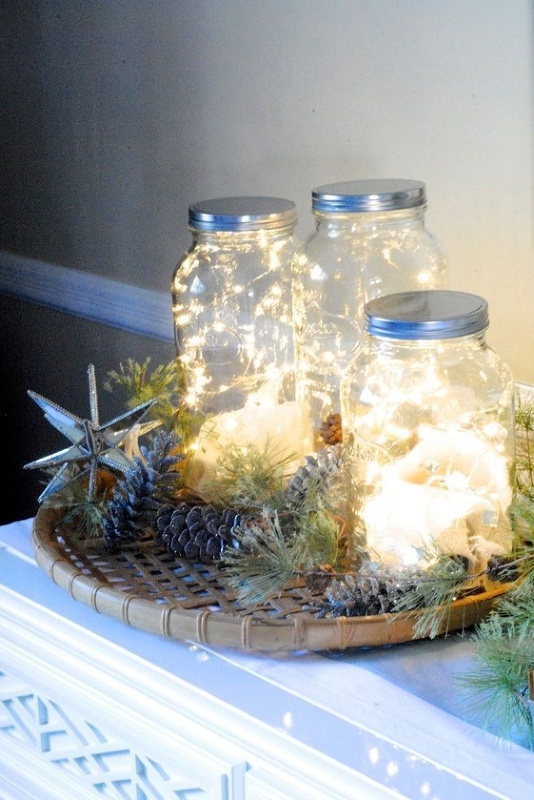 Use jars to make fairy lights. Mason jars with metal lids make great containers for string lights. The resulting effect makes it look like you’ve trapped a fairy or dozens of lightening bugs – pure magic. 10. 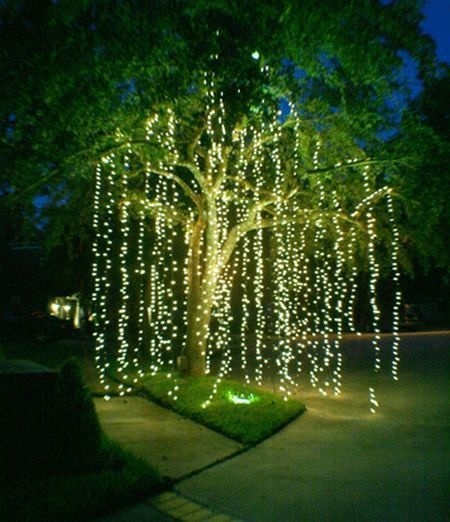 Add lights to your bushes. 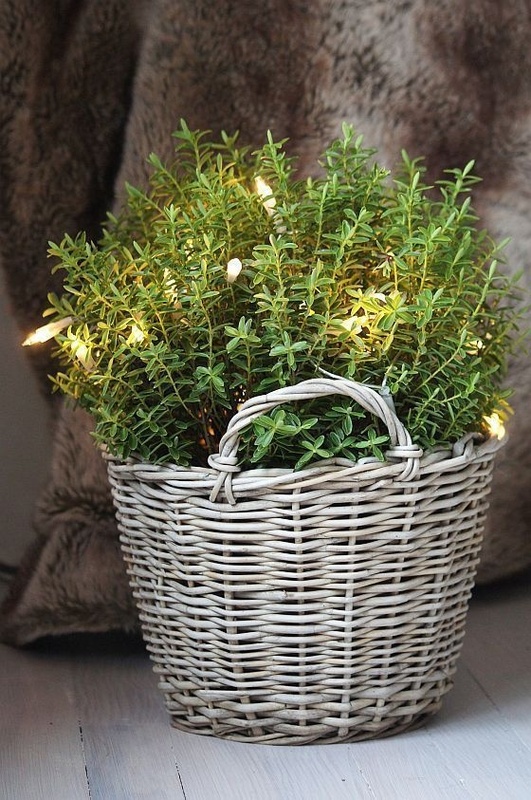 If you want to spruce up your plants, try stringing through a few lights for added ambiance. 11. 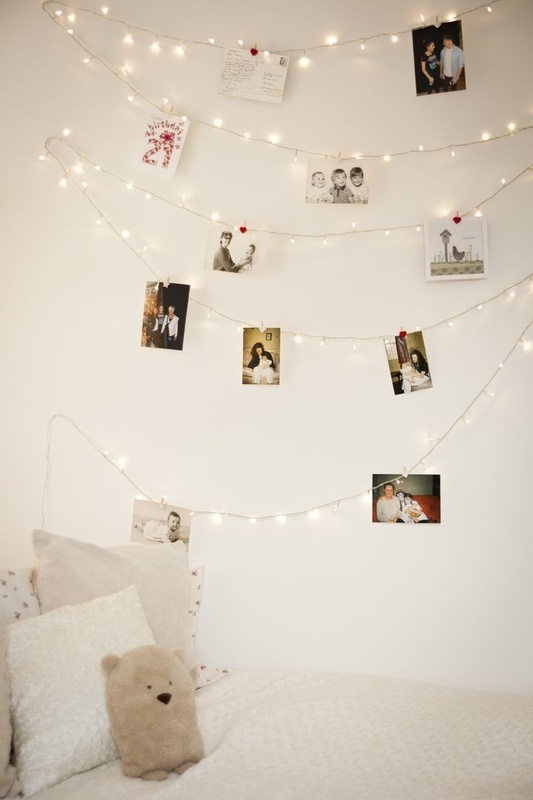 Use string lights to hang photos. This is a much warmer, creative alternative to a traditional wall of frames. Marquee letters are all the rage right now, but if you don’t have the resources to snap up an expensive one at a flea market, try making one yourself instead. 13. Create the clouds and stars. A perfect idea for a kid’s room or even a nursery. 14. 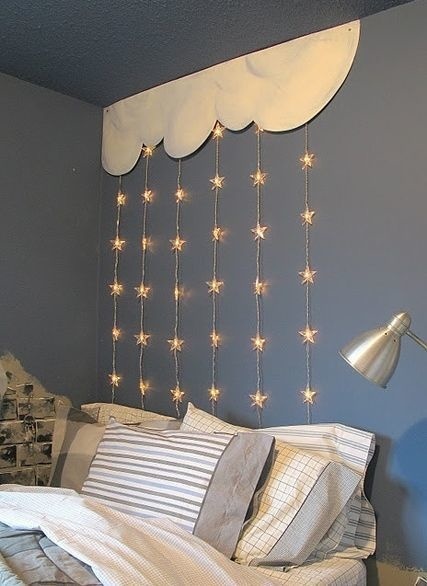 Use starry string lights. 15. Use a sheer curtain. 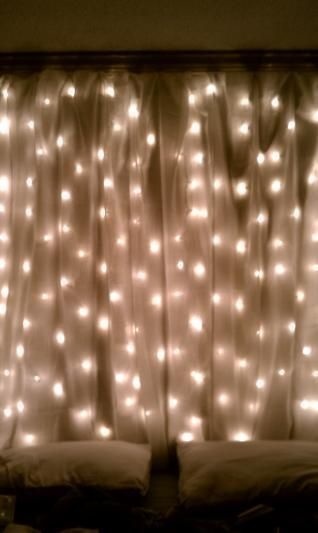 Overlaying a sheer curtain with string lights creates a gauzy effect that will turn any room into a dreamy hideaway. If you’re not into white lights, try these rosebud string lights to add a colorful and feminine aesthetic to your room. 17. Use battery powered lights. Avoid having to deal with all the nasty extension cords by tracking down a few sets of battery powered string lights. 18. Combine string lights and cherry blossoms. 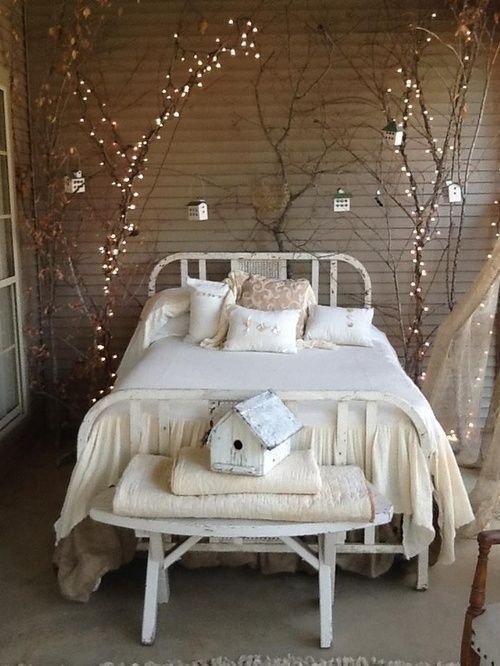 This is a great idea for people who want a softer, more floral look for their string lights. 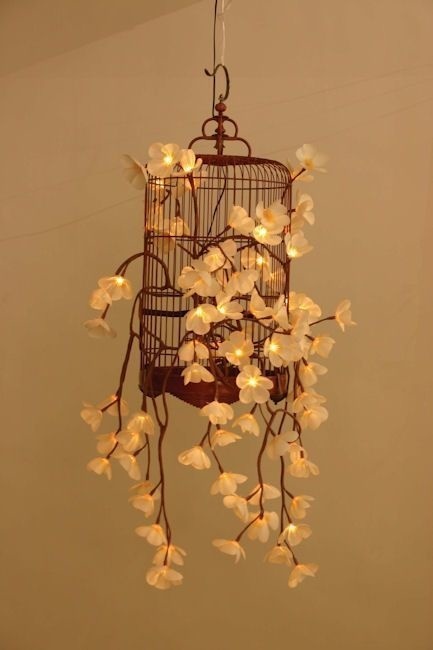 Try winding them through a birdcage for an even more charming effect. 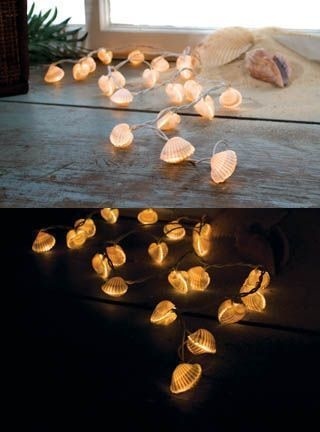 If you live near a beach and love collecting shells, use them to create tiny shades for each individual string light. 20. 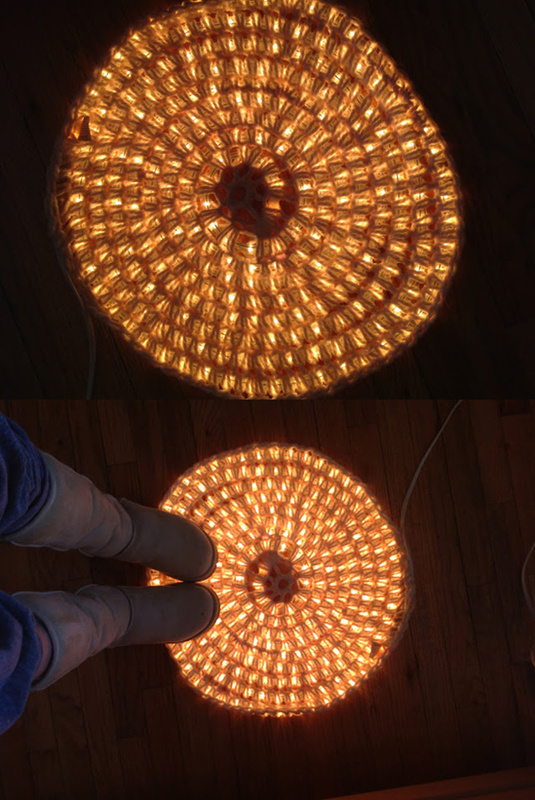 Light up one of your rugs. Just because it’s a floor doesn’t mean it has to be boring. Follow the DIY below to learn how to add some glow to the ground.